← Why You Gotta Be So Rude? It’s Tuesday once again folks. Time is moving so quickly that Christmas will be here before you know it. Did I just say that out loud? I did. I did just say that! I am not really a “winter person”. So when I think of Christmas, I think more of -40c. Christmas itself is magical…it’s the weather that comes with it. Bah! We still have to get through Thanksgiving (this weekend for my Canadian folks), Halloween and Remembrance Day. I don’t know why I am jumping the gun. I hope you all had a great weekend and are enjoying this last gasp of summer time weather. If you live somewhere that is warm all the time…keep doing what you’re doing. It is CMA award season and the 2015 CMA Awards show is set to air on ABC on November 4th. Opening the show will be Eric Church and Hank William’s Jr. The 2 will be performing a song off of William’s latest album that is soon to be released on Nash Icon Records. The song is “Are You Ready For The Country”, which was originally done by Neil Young and then covered by Waylon Jennings in 1976. Williams’ album will be his first on Nash Icon. The only other country artist who has released an album on this label is Reba McEntire. Williams’ album is scheduled to be released in early 2016. Church is up for 5 awards this year, including Entertainer of the Year. It is the first time he’s been nominated to the top honour. Good luck, boys! Poor Sara Evans! This weekend, Evans had a bit of a mishap; she fell down the stairs of her tour bus resulting in an emergency trip to the doctor, a knee brace and a pair of crutches. This didn’t slow the brunette songstress down one bit. She still made it to her October 3rd performance in Bloomsburg, PA. She has a few weeks of rest coming up before her next show in early November at Shooting Star Casino in Minnesota. Evans has dates scheduled across the country throughout November and December and plans to make it to all of them. Get well soon, Sara! You may or may not have heard that Lady Antebellum frontman, Charles Kelley, will soon be releasing a solo album. Okay, okay…take a deep breath…hold…………and release. In an interview with A Taste of Country, Kelley assures Lady A fans that the band is in a great place and that there are no plans for a split. “Lady Antebellum is not breaking up,” says Kelley. “I don’t think we ever will break up.” Kelley also promises that his solo project will be grittier and more personal than the music released by Lady Antebellum as of late. The first single to be released will be “The Driver” which features Eric Paslay and Dierks Bentley. Personally, I really like Charles Kelley and will be on the look-out for his EP. And I think we can all agree that there is some sense of relief in hearing that Lady A will not be going anywhere for the foreseeable future. I can honestly talk about cowboy boots all day. But did you know that not ALL boots are classified as just cowboy boots? 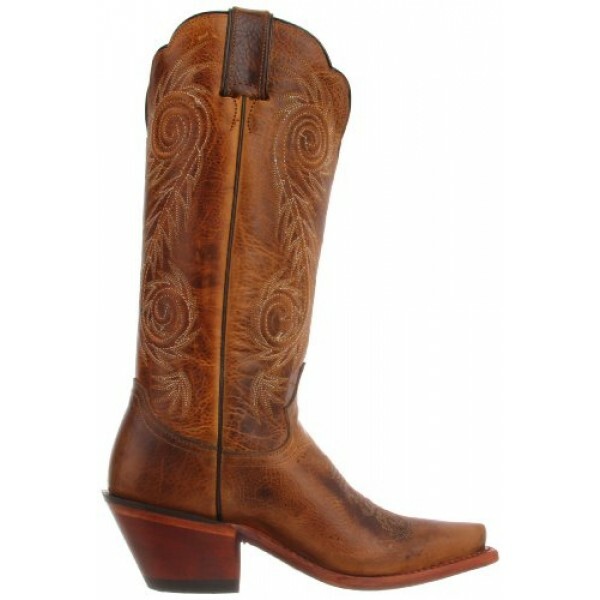 There are 2 distinct styles of cowboy boots: western (sometimes known as classic) and roper. Within these, there are a couple of different variations based on need or look you want. But how can you tell the difference? When it comes to western boots, there are 2 main styles. One is a classic style and the other is a western riding boot. The classic cowboy boots style typically has an angled heel (often referred to as a cuban heel) that is usually around 1” – 1 ½” height. It is slightly lower than the western riding boot heel (which usually comes in at about 2”). 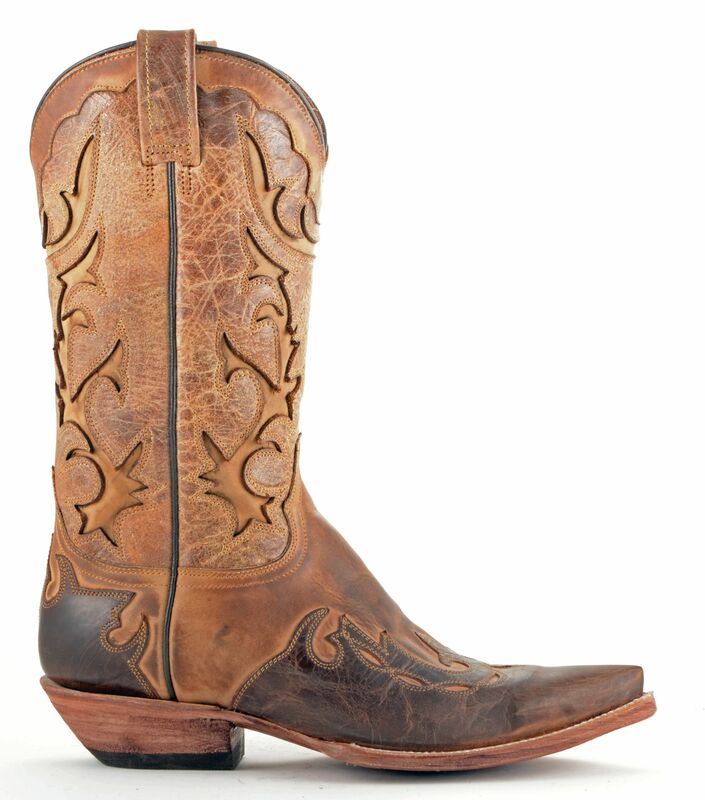 The standard boot height for the classic cowboy boot is around 12”. These boots are more practical for riding, walking and of course, dancing. 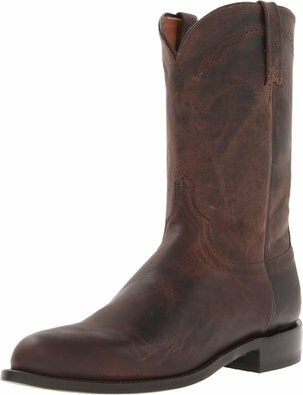 The western riding boot has a similar construction; it is just the dimensions that change. They are mainly designed for riding, hence the name. As previously mentioned, the heel is the highest of the western boots, but they too are angled. The leather on the soles is smoother to prevent the boot from catching on the stirrups in the event the rider falls. This is also the reason why these boots never have laces on them. The toe is more tapered to allow the rider smoother entry of the boot in to the stirrups. The shaft is typically longer than that of the classic western boot (13” total length) so that the rider has more coverage on the legs. This will prevent pinching and chafing from the saddle and protects the wearer from things such as brush and thorns. Ropers come in two styles – with laces and without. They got their name from the fact that these are the type of boots worn by rodeo calf ropers in competition. They have a very short heel, the lowest of all of the western style boots. The heel is squared off and it is also the lowest overall height of all of the western boots, extending several inches above the ankle. The toe is usually rounded and the sole on it is flexible. The work western boot is very similar to the roper in style, with only an anti-slip (rubber) sole and extra mid-sole cushioning being the only real differences. Neither the roper nor the work boot are very fancy and are made with more durable types of leather due to their utilitarian nature. Let’s look at all 3 styles side-by-side. Can you see the differences? I am not sure how many of you are big fans of The Voice, but I am obviously a huge fan! It is such a great way to find out about new artists (as well as get my BS dose). Corey Kent White was on The Voice last season and I loved him! I was so sad to see him leave. Despite his premature dismissal from the show, this 21 year-old Bixby, Oklahoma native has not let the grass grow under his feet at all. He has taken full advantage of the exposure the show has given him and has run with it. Although Corey is still young, he has been singing and song writing for about 10 years. He grew up in a very musical family and listened to a lot of Garth Brooks (as you do growing up in Oklahoma). At a very young 8 years-old, Corey began playing guitar and taking music lessons. His first time on stage alone was at the State Fair in Tulsa, Oklahoma. It was just him and his guitar. But by age 11, Corey had become part of a musical group of 11-16 year-old musicians called Oklahoma Stomp which showcased Western Swing style of music. While Corey was in high school, he was signed by BMI Song Writing Group and was frequently travelling back and forth between Oklahoma and Nashville. He knew that he had to move to Tennessee to really start his career so he took one extra step and pushed himself even harder to graduate one year early. He is currently enrolled at Oklahoma State University on top of doing a university show circuit. The fact that he is doing this yet still found time to release his album “Making Noise” proves that Corey is dedicated, driven and a very hard worker. 1) How are you finding balancing University and your career? What is the most challenging part about it? Corey: 1 word. Netflix. Honestly, it’s just a matter of self-discipline. I am a full-time student at Oklahoma State University. I’m currently in 15 hours online and that’s tough. The most challenging part is convincing yourself to start working on something that could easily be put off for something more fun. Luckily, I have great parents & grandparents who instilled a good work-ethic in me. 2) What is the best piece of advice you received while you were on The Voice and who did it come from? Corey: Reba told me to just be me. I think that’s so important, especially as an artist. Nobody great ever sounded like anyone else. 3) If you had to describe your life over the last 12 months, how would you do it? Corey: The most fun I’d never want to have again. Ha! I’ve grown so much as a man and an artist but the growing process can be frustrating & exhausting. I’m thankful for the experience. It’s made me better. I’m very thankful to have the last 12 months under my belt so I can continue pressing on towards my goals. 4) What is one thing that is a “must have” when you are on the road? Corey: My Martin & Co. guitar. It goes everywhere with me. Been with me for nearly 10 years now. 5) What is the last photo you took with your phone? Corey: A pic of my new blue heeler puppy, Gracie. Corey, thanks so much for taking time out of your gruelling schedule to answer these! This entry was posted in Country Fashion, Country Music, Country News and tagged Blake Shelton, Charles Kelley, Corey Kent White, Cowboy Boots, Dierks Bentley, Eric Church, Eric Paslay, Garth Brooks, Hank Williams Jr., Lady Antebellum, Neil Young, Reba McEntire, Sara Evans, Waylon Jennings. Bookmark the permalink.